Home>Natural Casings>Richeldi Italian Hog Bungs, Scraped, Sewn-Bottom (2.5″x20″) – Felino Style – 5 ea. These are some special casings we are carrying now, and are produced in Italy. They are used specifically for Salame Felino in Italy, and we are now stocking them! 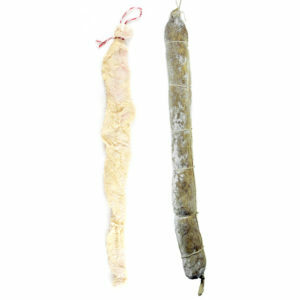 Pictured next to the casing on the left is a finished picture of a Felino style salame in Italy, and you can see the specific shape these casings produce. The bottom of the casing is sewn, and forms a block bottom in the final product. 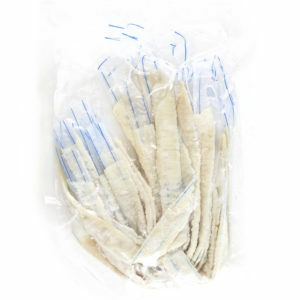 Before they are sewn they are inverted and scraped. 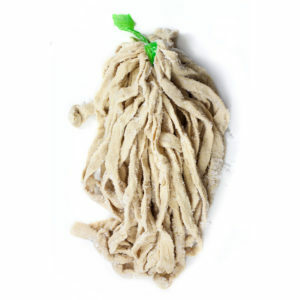 This facilitates more even drying throughout the entirety of the product, versus our other Hog Bungs we carry that are not scraped. This is why they are more expensive…sewing, inverted, scraping, reverting. 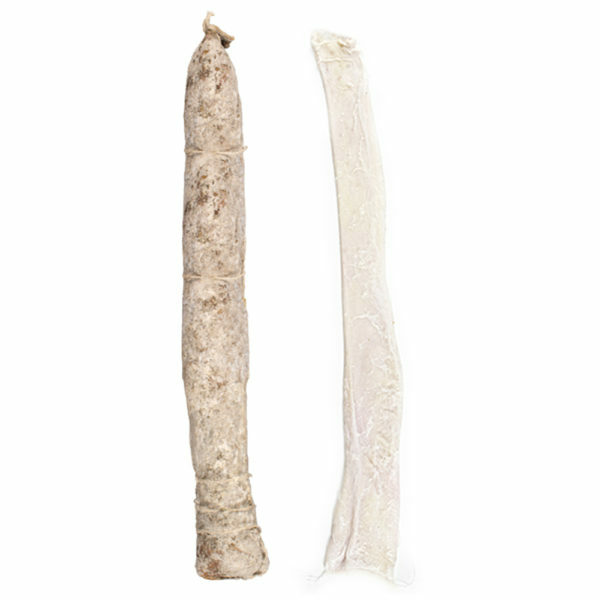 We are so excited to be stocking these specialty casings now, and hope you enjoy making some amazing Felino style, or even other types of salami in them. Sold in bags of 5 each.